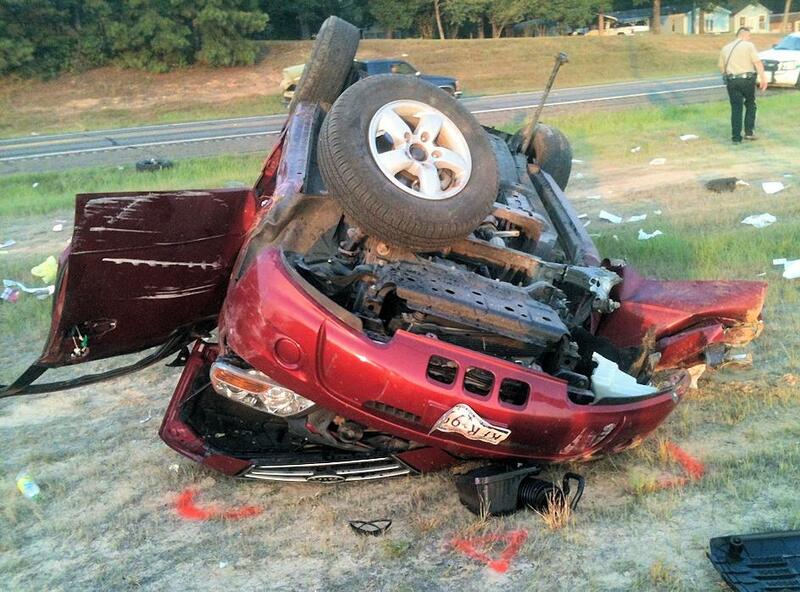 Fatal Rollover Accident on US-190, SPRING CREEK, September 14, 2013 - At around 6:20 pm on September 13, 2013, a red 2008 Kia Sorento was east-bound on the Kickapoo Bridge in Onalaska (headed towards Livingston). According to witnesses, the driver was driving erratically and actually struck a pickup on the bridge, but kept going. After crossing over the bridge, the vehicle continued east-bound on 190 and ran 2 school busses off the road. The vehicle finally left the pavement to the right, struck a culvert at Gray Road causing the vehicle to go slightly airborne. The vehicle rolled about seven times before coming to rest upside down in the grass. 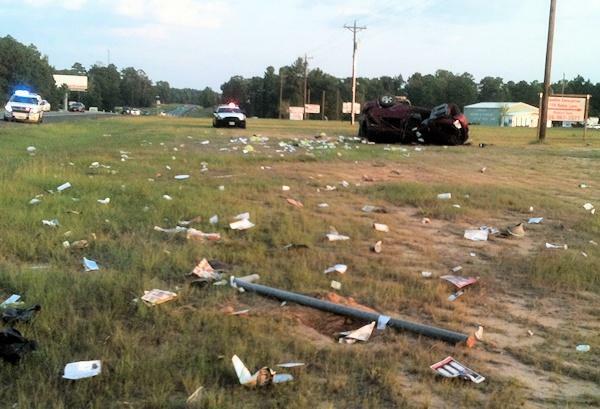 Americare Ambulance Service was dispatched to the scene along with Deputies Adam Norris and Byron Dunaway with the Polk County Sheriff's Office and Corporal Ramey Bass with the Texas Highway Patrol. The driver of the vehicle, Timothy Keller, 46, of Humble was rushed by ambulance to Livingston Memorial Hospital where he was pronounced dead. Justice of the Peace, Stephen McEntyre performed and inquest and ordered an autopsy. Keller was transported from the hospital by Cochran Funeral Home. According to Corporal Bass, the driver was wearing his seatbelt. Traffic wasn't blocked during investigation and cleanup. Keller's vehicle was recovered by Ken's Towing and will be stored at Harrison Body Shop in Livingston. 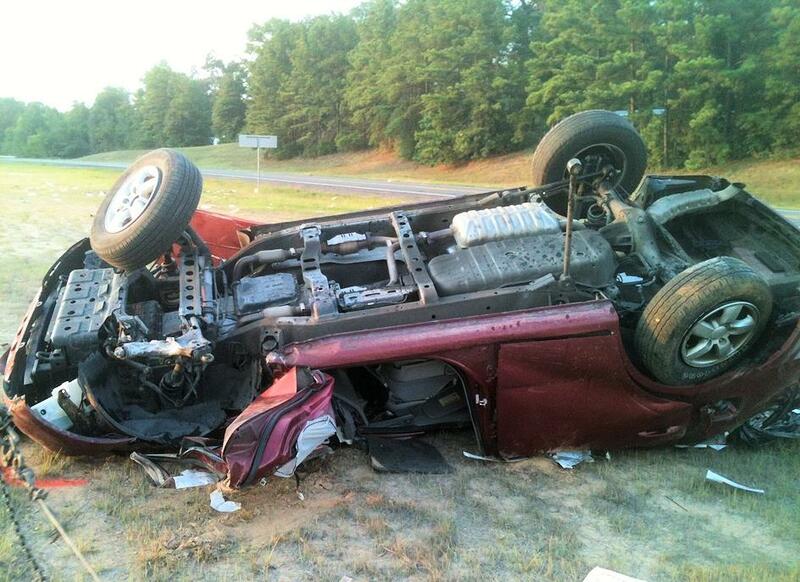 Timothy Keller's 2008 Kia Sorento rolled about 7 times.